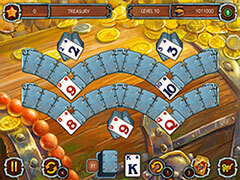 Live like a pirate and become the captain of your own ship ona quest to find the hidden treasure! The Caribbean Sea is full of buried treasures beyond our wildest dreams. Even today they await discovery by any adventurers brave enough to look. Now you too have the chance to team up with pirates and set out on an amazing journey to become one yourself! Today all you need to do to discover what ancient secrets lie hidden in the sand is play Solitaire Legend of the Pirates 3. Kick back and relax on a real adventure! You are sure to encounter lots of difficult layouts, but they are no match for your skills! Explore 20 locations and earn lots of cool pirate trrophies, including three famous ships from pirate history that even Jack Sparrow would be honored to captain! 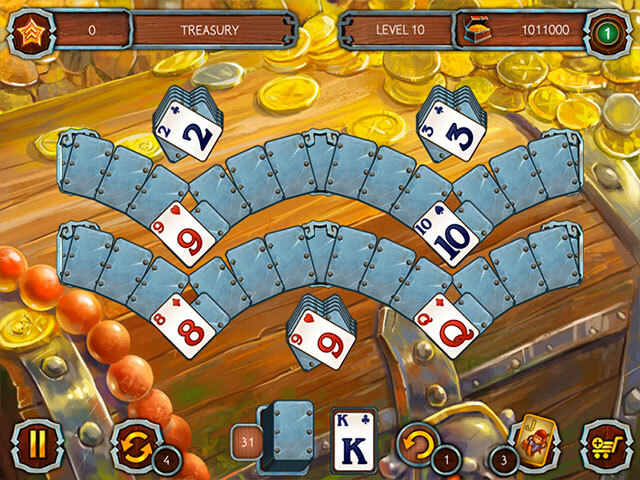 Multiple difficulty levels are perfect for several hours of exciting gameplay every day, and unique Gold Cards give the game a fun new twist. - Let your emotions run wild! 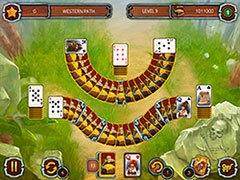 - Solitaire card game – collect chains of cards! 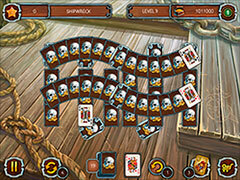 - Vivid graphics and a Pirate soundtrack make this Solitaire a win-win!